One of my favorite parts of dressing is the shoes. They're like the punctuation mark of any good outfit, and nothing ruins a perfectly good outfit faster than the wrong shoes. With Spring apparently finally here to stay, I'm busting out all my favorite open shoes! I had these shoes in mind when getting dressed on Tuesday. In warmer weather, they're really my go-to heel for these white slacks. This particular pair came from Charlotte Russe, but you can really find this style of shoe everywhere. The heel on these is the perfect height for me, the strap across my toes doesn't rub, and there isn't too much pressure on the balls of my feet. 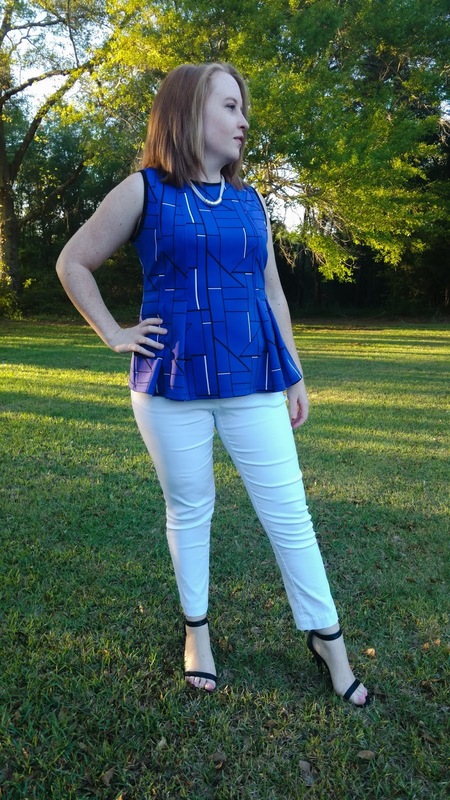 I finished off the outfit with an abstract blue peplum top. If I were going to be on air, I'd add a black blazer. I just got these cognac sandals and couldn't wait to wear them! I'm all about cognac shoes this Spring, as evidenced by my newly-acquired wedges and flats. This pair seems a little sleeker than the wedges. In addition to skirts and dresses, I can see myself pairing these with jeans and slacks. The heel is slightly chunky, making it super comfortable to walk on. 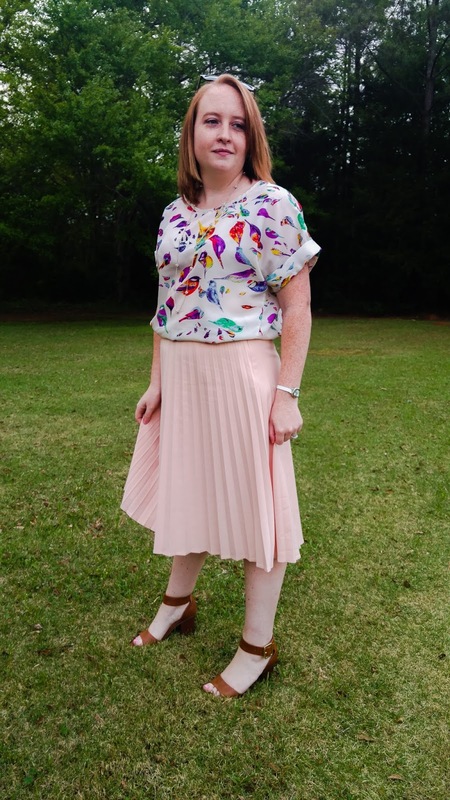 The skirt and shirt are both old. 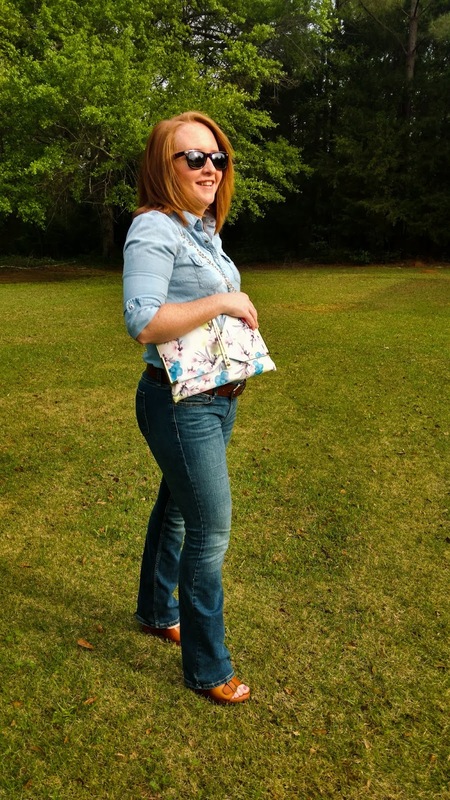 Who doesn't love a good denim-on-denim outfit? I've had this chambray shirt for several years now. 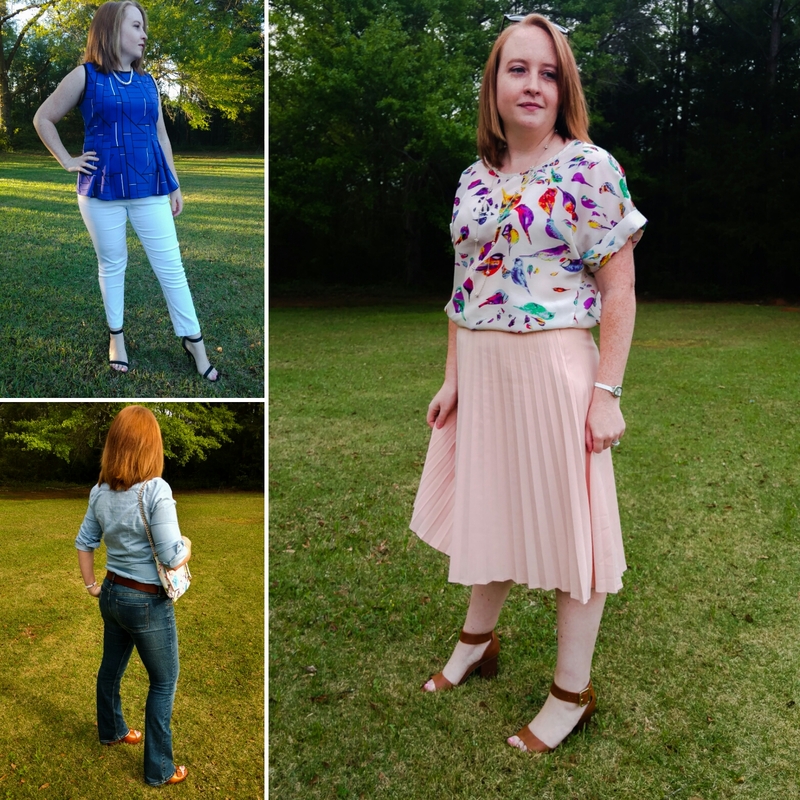 It's definitely one of the most versatile pieces in my closet! 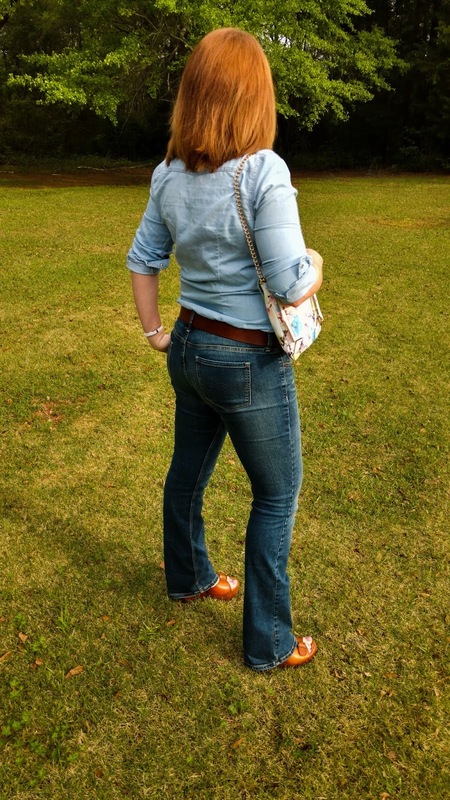 I wear it so many different ways - with jeans like seen here, with skirts, and over dresses or tank tops. I decided to keep this outfit pretty simple, pairing it with a simple brown belt and my new go-to cognac wedges. I've had the wedges for about a month and let me tell you, I wear them ALL THE TIME. Definitely money well spent.